Assets amounting to 70m Swiss francs, or 68.6m dollars, are involved. 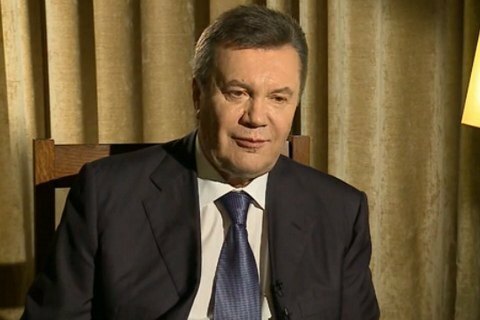 At its session on 9 December 2016 the Federal Council decided to extend by one year the freezing of all the assets in Switzerland of ousted Ukrainian President Viktor Yanukovych as well as of politically exposed members of their entourages and other persons closely associated with them. "It [the freeze] was ordered by the Federal Council in 2014 for a period of three years, which means that it expires for the first time in February 2017. Assets amounting to approximately CHF 70 million are involved. Criminal investigations have also been initiated against a large number of individuals targeted by this measure and several requests for mutual legal assistance have been addressed to Switzerland. Although these requests have resulted in significant interim findings, more time is needed to enable the ongoing criminal proceedings to be concluded. The freeze imposed by the Federal Council therefore fulfils its purpose in every sense, which suggests that it will be prolonged for a further year," the Swiss Federal Council has said on its website.